There are 8 people that live in this house but without direction guess who gets to clean the house by herself. Yep you go that right me. Well that is why I love the My Job Chart so well because it helps me to keep up with the work that needs to be done and divide this work with all who live in this house. If you are like me and need a bit of help to get things going t hen you should check out My Job Chart website as well. My Job Chart offers up a list of possible jobs and lets you decide who will do them. There are even some chores that all can do. Decide how many times a week the job needs done. Some may require every day attention while others may need once a week attention. The great thing about My Job Chart is that it put the maker of the list in charge. Don't forget rewards. There is a section to keep track of rewards, how often they are to be given out and what needs to be done to earn them. The reward for you is to know that you are not the only one taking care of the house and that your family is learning how to take care of the house as well. Grace Is Enough by Chris Tomlin one of my favorite songs. To me the words pack power. I am so thankful for the grace that he allows us. 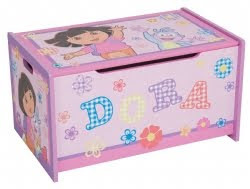 I can just imagine the fun that Princess or Diva could have with this. Oh the hours of good fun cleaning that could be done. 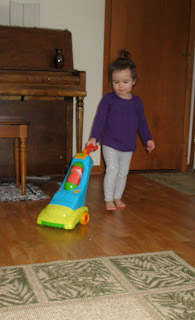 The blog A Mom's Balancing Act is hosting a giveaway sponsored by Baby Genius where the winner will receive a musical vac. This giveaway ends March 29, 2010.
we all know those leftover slivers of soap . What do we do with them? Making a bath helper for your little one would be one good idea. Put small slivers of mild soap into the open end of a small sock and tie shut, or make a small slit in a small sponge and insert soap. This will make it easier to hold onto for little hand and when washing the baby. In Hawaii, Aloha Friday is the day that we take it easy and look forward to the weekend. The blog An Island life celebrates this by hosting Aloha Friday. Where I’ll ask a simple question for you to answer. Nothing that requires a lengthy response. This weekend we go forward in time by 1 hour. Yes that means we loose 1 precious hour of sleep. I do not really like loosing the sleep but I do like the longer hour in the afternoon. Do you observe Day Light Savings time where you live? Do you like it? 1. How much time do you spend on the computer a day? 2. Will you pay for your children's college or raise them to pay for their own way? 3. Have you ever been in a car accident? 5. Do you make your bed everyday? I located one of the funnest companies ever. They make a bit of everything but everything they make is a bunch of fun. Bored Inc. has a mention it seems to make creative products to sell to their customers that will make the whole world laugh. Bord Inc. is a company made up of a mother and daughter team that hold the goal to create products that make your everyday life a little bit cuter. Since a little girl I have always heard that the wildest things come from California, thank goodness because the world would be a bit bored without it. Bored Inc. is based out of Los Angeles California and wants to share their adventures in life through their products they sell. Now the wonderful thing about Bored Inc. is that they carry items that you may not see anywhere else. If you are a baker and you love to make sweets for your family then perhaps you would love to wear this apron in the kitchen and remind all of exactly what you serve up. If you dare to be a bit more spicier Bored Inc. also offers this super cute tee. One of Annie's Home readers will be able to select and receive their favorite item. Bored Inc. has decided to give any one (1) item to a lucky Annie's Home reader. To enter this contest you must visit the Bored Inc. website and tell me what item you would choose if you were the lucky winner. This is the youngest of my nephews enjoying a piece of cake. This is Princesses latest picture she is so cute I love her very much. Yes even at this young age according to Parent magazine will allow your child early experience in reading. The lil ones are able to find patterns in what he is able to hear and helps to boost their structure and use of language. The best books at this level are chubby books. The pictures in these books are often larger and can help infants develop eye muscles. Textured books also introduce the tiniest readers to new world expectations. By playing games of pat a cake and reading nursery rhymes your child learns to model speech in a playful nature. Reading is a lot more than books learning symbols such as the golden arches or daddy's car sends messages that they can read and understand what is going on in the world. your child has gathered a large listening vocabulary and soon will be talking in understandable speech. Its time that the baby talk takes a break and that proper words are use model of ts. Regular spoken language is the best model. Read often and let the books become part of every day life. Start asking questions to your child to make sure they are following along, being sure they understand what they are hearing, as well as predict events. Teach your child that there is more to read than books. Read the cereal box, recipes, or newspapers any where there is printed material for your child to read. 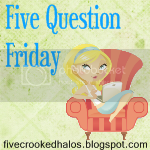 Open up the world of interest and conversation by posing questions that take thought such as "will we get mail today" Reading has many steps built into it and many of these can be taught without a book. 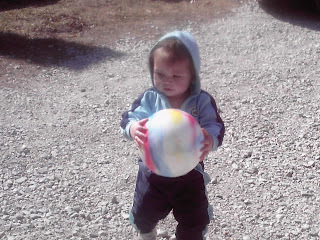 By this age the child's language begins to develop even further. 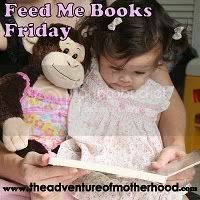 There are favorite books that are read often and have become so familiar that your child may be able to share the story with you. Allow them to do this it is good practice for them and this skill will become important when they begin to write. Themes become fun at this age they may have their favorite characters and it would be so fun to read books about these characters. The seasons, home, holidays etc... will be fun themes to share and read about. Riddles are good learning tools both asking them and having them repeat them are building skills. Hero's at this age are real whether they see daddy or mommy as a hero or a character or person they are familiar with. Hero's can help teach skills in a fun interactive manner. I love Sesame Street in fact we always have. I loved this great show as a child, mother and now a grandmother. I can remember reading the wonderful books that are created for Sesame Street to my younger brothers, my children, children I cared for and to my lil Princess. I love how these books teach lessons through the great words on the page. Watching as characters learn lessons and demonstrate what they learn. With the seasons changing again I thought it would be wonderful to look at a few books about seasons and spring. The book The four Seasons finds the great Sesame Street characters sharing the seasons in a great fun way. The Sesame Street website offers fun games for spring as well here. 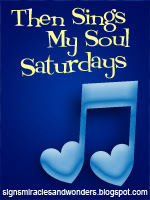 I also love Gail Gibbons, she has many wonderful books. 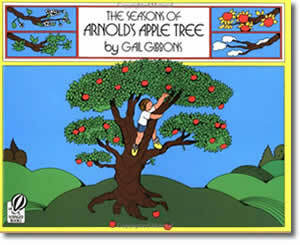 The book Arnold's Apple Tree teaches about apples as well as seasons. 1 14-ounce can whole potatoes (drained and cubed). Heat oven to 400 F. In a saucepan, gently heat mashed potatoes and milk, stirring occasionally, until well combined. Remove from heat and stir in butter. Set aside. Heat olive oil in a large skillet over medium-high heat. Add meat-loaf mixture and cook, breaking up with a spoon, until browned, 5 to 7 minutes. Add carrot and celery, and cook 5 minutes. Sprinkle in flour, stir, then add chicken broth. Simmer 3 minutes and remove from heat. Add peas and whole potatoes. Spoon into an ovenproof casserole and top with the mashed potatoes. Bake until the top is golden, about 40 minutes. Here are a couple of Irish Dishes you may want to prepare for your family on St. Patricks Day. Place cabbage, onion, and water in a saucepan or Dutch oven and quickly bring to a boil. Reduce heat, cover, and simmer about 8 minutes until tender. Do not overcook. Add mashed potatoes, milk, butter or margarine, salt, and pepper. Mix well, stirring often until heated through. In a large frying pan melt the butter, add the chopped onion and fry gently for 3 mins or until soft. Turn the heat up slightly and add the mashed potato and vegetables. Fry for 10 mins turning over in the melted butter two or three times ensuring the potato and vegetables are thoroughly reheated. Press the potato mixture on to the base of the pan with a spatula and leave to cook for 1 min. Flip over and repeat. 1. 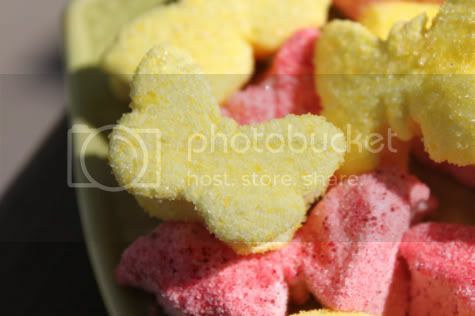 What is your favorite kind of cookie? 2. If a birds wing falls asleep, does it hurt when it tries to flap it's wings or does that make it feel better? 3. Water - tab, bottle, filtered or....??? 4. Would you (or do you) have a stripper pole installed in your home? 5. Do you still have any Christmas decoration up? 6. What brand of camera do you have? 7. Why do paint colors have weird names? 8. Which toe is your favorite and which foot is it on? 9. What would you do if a celebrity sneezed in your face? 10. If a stranger came to your door and asked for a glass of water, would you give it to them? 11. The government has asked that you pick the newest national holiday - what is it? 12. How many toothpicks could you fit into a beer can? 13. Whats the weirdest excuse you ever gave for missing school or work...or heck, even a social function, date, whatever? 14. Can we stop now? Coconut-Supreme Oil (Cocus nucifera) I am not sure if you all have ever used coconut oil on your skin but I have to say that my skin loves it. Coconut oil is also beneficial to my skin because it helps my skin to become stronger and has been known to help prevent wrinkling and sagging. With these three oils as well as canola oil, Jojoba oil, Aloe Vera oil, Grapeseed oil, Soy Bean oil, and Shea Butter Scrubz Body Scrub is sure to help skin ailments that the weather or health problems may leave behind. Scrubz is not only great for your skin but it smells great as well. We received a sample of the vanilla Scrubz Body Scrub. Smells so great, feels great and in my personal opinion works great as well. Scrubz comes in a variety of scents from floral to fruity and sweet. I am sure that you will find one that is perfect for you. In addition to the wonderful sugar scrubs Scrubz also sells Scrubblez for kids, Shavez for men, as well as oilz, butterz and other products to help you feel wonderful. Five (5) of Annie's Home readers will recieve a $15 e gift certs compliments of makers of Scrubz Body Scrub so you can do a bit of shopping as well. To enter this giveaway you must visit the Scrubz website and let me know what you would choose if you were the lucky winner. After a night of storming the day is warm, and we know that we made it through the storm safe and secure. Is that not how the storms of life sometimes seem that we get tossed about and yet come out with the love and care from our heavenly father a bit tossed about but safe and secure all the same. I am so thankful for his love and care that he allows us. I am also thankful for a day where there is nothing to do but stay at home, do a bit of blogging, take care of my family and clean my house. All things that I love to do. I feel so great that I am able to do these things for my family. Sometimes life seems to take over and there is just not enough time to get everything done. How wonderful it is when all seems to straighten out for just a short period of time and we can come up for a deep cleansing breath with a slower paced day. I am thankful that my children are doing well in school. My son made the high honor roll again and my other children are doing great as well. One of my children will be mainstreamed next year but still allowed a resource room in case any trouble arises. I am thankful that they continue to strive for such greatness. Toast or broil the bread sprinkle with cinamon sugar if not using cinamon raising bread. Top each slice of toast with equal amount apple pie filling and a cheese slice. Broil 2 to 3 minutes or til filling is heated through and the cheese melts. Serve at once. over low heat in sauce pan melt chips with sweet milk remove from heat. Stir in pecans. In muffin cup spread 2 T chocolate mix with lightly greased spoon, spread chocolate on bottom and up sides of each cup. Freeze 2 hours or til firm. Before serving remove paper liners fill chocolate cups with ice cream Store til ready to use in freezer. 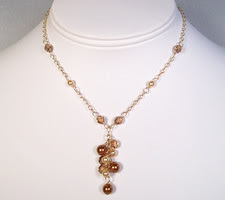 Bonita J.com has some beautiful handmade jewelry. 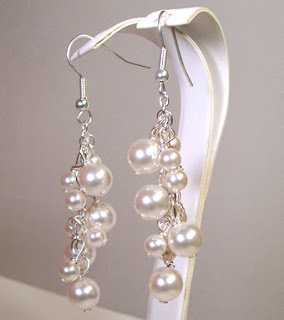 I was lucky enough to be able to review a gorgeous pair of beaded earrings. They are lovely. While Bonita J states in her description handmade bridal & bridesmaid jewelry as a mother of teens I believe it also makes lovely prom night jewelry. For any night that deserves a bit of style Bonita J has that perfect piece of jewelry that you will help make the night perfect. The earrings that we received are lovely and my girls loved them as well. In fact a debate took place upon who would get them and the funniest thing of all is that this mama decided to put them up for a special occasion. Bonita J has the perfect jewelry for every member of the bridal party. From the brides and bridesmaid to the flower girl each member will be pleased with the jewelry offered by Bonita J. Jewelry is essential and an important part of any wedding. Budget is a part of a wedding that no one likes to think about but everyone must respect. Bonita J. works wonderfully well with every budget as well allowing the bride and groom to enjoy their wedding and look great as well. Bonita J. would love to give the earring in the picture above to one of Annie's Home readers. The earrings are valued at $40 and the winner has the choice between silver or gold as well as two colors of beads. 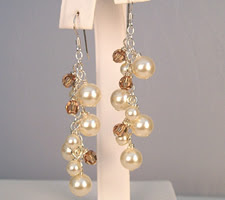 Blog about the giveaway linking to my blog and Bonita J.
I received a pair of earrings to review. The thoughts and opinions in this post are my own . At a recent get together the games on the wall seemed to entertain everyone. We had such a great time. There were a few missing but I am sure that there will be more fun in the future. The letter of the day at ABC Wednesday is H for Hopeful Hubby. 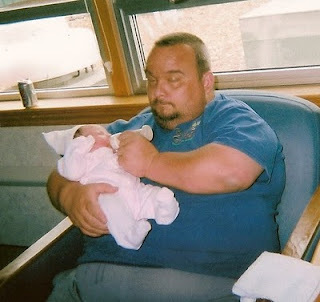 As he sits here holding Princess when she was born. His heart was full of hope on this day for the precious bundle of joy that he holds in his arms. Also don't forget the fashionplaytes giveaway where you can create your own design as well. Place layers of vegetables in order given in crock pot. Season with salt and pepper. Put the lightly browned meat on top of celery. Mix tomato soup with water and pour into pot. Cover and set low for 6 to 8 hours or on high for 2 to 4 hours. Stir occasionally. In the absence of a slow cooking crock pot, use stew pan on top of the stove for 1 to 2 hours. Word Filled Wednesday is hosted by All You Have To Give. Is it not wonderful news that in the world that changes so fast that one thing stays constant. 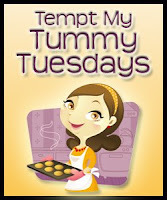 TemptMy Tummy Tuesdays At Blessed With Grace blog is where you can find many tasty recipes and I shared this one there as well. Mix first 4 together Thaw berries, do not drain. Mash Add all together: mix well to a soft dough Makes 2 large or 3 medium loaves Bake at 35o degrees for 50 to 60 minutes. The saying goes "the stomach is the way to a mans heart" Ragu is looking to find out what your thoughts are behind giving your kids a good start to life. One thing we can all do is to prepare a hearty meal that will give them a break and a smile. Do you have a speciality you love to cook your family? Does your family have a special dish that they love? Would you care to share your favorite recipe? Ragu is sponsoring a contest where the winner will be selected from all sorts of special dishes. The Recipe for a good start contest opened on March 1, 2010 and will end March 31, 2010 You can enter the contest as well by sharing your favorite recipe that is prepared using Ragu sauce and what you think it takes to give kids a good start in life. Combine all ingredients except spaghetti in crock pot. Cover and cook on LOW 4-5 hours. Stir in spaghetti. Cover and cook on HIGH for 45-50 minutes until pasta is tender. 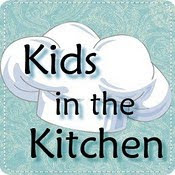 Follow this link www.recipeforagoodstart.com to enter your recipe in the contest where judges will select the top 3 contenders. These three will have the chance to prepare their dish in New York City August 2010. The recipe will also be shared and voted on by those visiting the contest site. The grand prize winner will receive a $5,000 scholarship for their child. Slice stea into 6 to 8 serving size pieces. Place in slow cooker. Add dry soup mix, 1/2 c water and can of soup. Cover cook low 6 hours to 8 hours If you desire more gravy you can use 2 packages of dry onion soup mix, 2 cans of soup. Serve this with a salad or vegie and your family will be pleased. MomStart is hosting a giveaway that will have you powering up. They are hosting a giveaway where they will giveaway AA and AAA battery packs. If you use batteries as much as those in my house do then you will want to enter this giveaway as well. 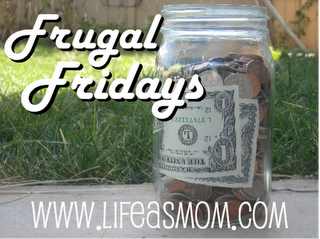 Head over to MomStart and enter by March 22, 2010. Are you like me and use lots of shredded and grated cheese? Did you know that you can get more bang for your buck by grating your own cheese? An average bag of shredded cheese (2 cups) in my area cost $2 and a lb of cheese in brick form cost roughly the same. By grating the lb of cheese you can get nearly 4 cups. Which would mean that you get the same as 2 bags of the shredded cheese at the store for the price of one. Furthermore the taste of fresh cheese taste so much better than the pre packaged to me. placing softer cheeses, such as mozzarella, jack or mild cheddar or Gouda, in the freezer for a few minutes to firm them up will make them easier to grate. grated cheese melts evenly and quickly and makes it easier to incorporate into sauces and other dishes. It is best to add grated cheese to sauces at the end of cooking. Using just enough to heat to melt and mix it in. Yes yesterday we more of less lived and only took care of what we had to at the time. I hate days like that but when you are so busy OMG what are you to do? 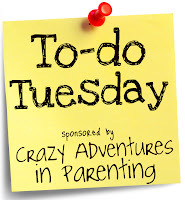 Its that time when potty training becomes an issue. At my nieces birthday party she received a bubble gum machine. Little did she know this was not only another toy but also a reward system. She will learn that every time that she uses her potty she will receive a piece of bubble gum. My daughter uses m&ms or Reese's pieces for her daughters reward. This is what we have tried and trued and knows works for our family. What do you use for reward? 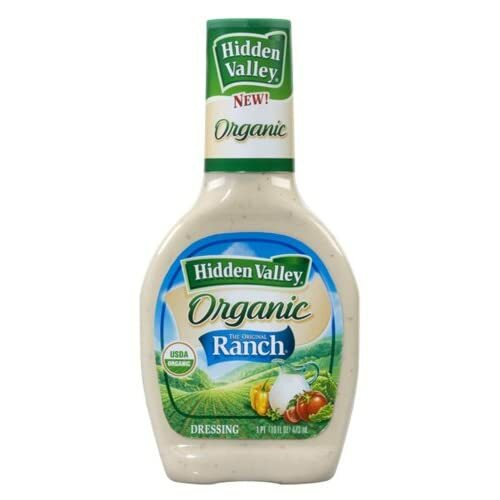 Sign up for the Hidden Valley Ranch newsletter and you instantly receive a $1 off coupon off 1. This is a great deal if your family uses ranch dressing as fast as mine does. thanks to Organic Deals & Coupons for the heads up. What do you think? One of my best friends from childhood sent me this picture of her and her big fish.